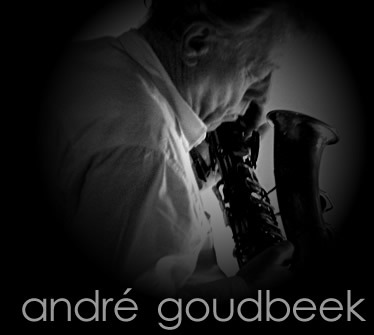 of free improvised music in Europe ..."
"What's most obvious is the quality of the musicianship, especially that of the marvelously lyrical alto saxophonist André Goudbeek"
"Goudbeek totally free, expressive en creative." "Goudbeek was superb, his melodic ideas at times sounding more like a bluegrass banjo player than an avant garde saxophone player." "Le saxophoniste, qui suscite les commentaires les plus -gieux des critiques."